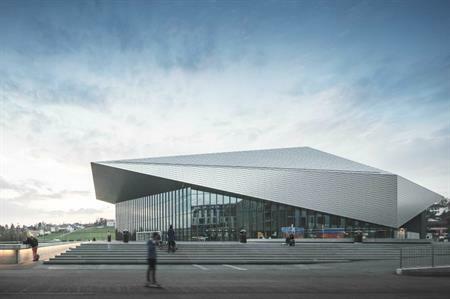 The World Anti-Doping Agency (WADA) will be holding its thirteenth annual international symposium at the SwissTech Convention Center in Lausanne. Taking place from 13-15 March 2017, the three-day event will offer more than 450 athletes and representatives, including those from international federations, national and regional anti-doping organisations, anti-doping laboratories, governments, and major event organisers, the opportunity to network and brainstorm about the fight for the protection of clean athletes. Lausanne Tourism & Convention Bureau will support WADA’s event by providing a number of operational services, including the management of registration, a networking tool, accommodation, excursions and additional on-site support. Olivier Mathieu, congress and meetings manager at Lausanne Tourism & Convention Bureau, said: "Lausanne’s reputation as the Olympic sports capital of the world, and its location at the heart of Europe, makes it the ideal choice for an international event that is dedicated to doping-free sport. The SwissTech Convention Center also offers the flexibility required by the WADA Symposium to deliver a complex set of multiple workshops so that experts from across the globe can knowledge share effectively."